Isn't it great when something cheap, effective, and easy to find solves your problem? Score! Are you still using it? And, more important, are you still loving it? Yep! Still using it and still loving it! 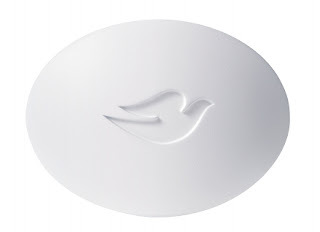 I kind of miss the many scented washes I used to use, but my skin has responded so nicely to the Dove bar that I really don't see much reason for switching, at least not right now! Hey, thanks for your comment! Sorry it took so long to get this. Yikes, I hope it's not psoriasis - I haven't had a recurrence since (knock on wood!). However, the symptoms are not dissimilar either... next time it happens I'll definitely get myself to my doctor.